South Second is an events venue unlike any other in Milwaukee. Nestled in the heart of Walker's Point, South Second brings the city's food and beverage districts together under one roof for an unforgettable experience. South Second's interior, designed by the award-winning firm HGA, honors the historic industrial character of the building while opening the space to the bustling nightlife of the neighborhood. The mezzanine lounge provides guests with a semi-private place to converse and recharge while keeping an eye on the festivities below. Check out our sample floor plans here. South Second has partnered with Saz's Hospitality Group to bring you the absolute best events in the city. Whether it be a modest evening celebration or a party for the ages, we have you covered. At South Second, you can customize every detail of your event, or lean on the expertise of our team to make it happen. All of our food is made right here in Walker's Point, just steps from you and your guests, in Saz's Catering's brand new state-of-the-art kitchen at 201 West Walker Street. Peruse our wedding menu or take a look at our formal banquet menu geared toward corporate, social and gala or fundraising events. 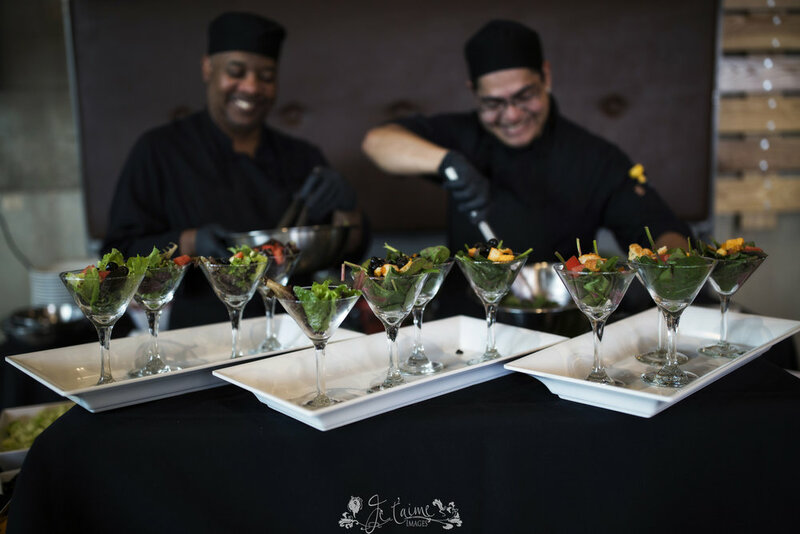 With complete customization available, your menu options are endless at South Second, so now is the opportune time to start imagining a meal perfectly suited for you and your guests! Thank you for your interest in South Second: A Saz's Hospitality Property! A member of our event design team will be in contact with you soon to discuss venue availability and the specific vision you have for your event. In the meantime, take a look at www.sazs.com for more information about Saz's Hospitality Group.